Kouign aman is a flaky, gooey and crunchy laminated pastry from Brittany, France, specifically Douarnenez. In Brittany, they use their amazing salted butter to give it the salted caramel flavor. Our version is loaded with fleur de sel from the region which makes the syrup between the layers less sweet and gives it a crunchy, salted caramel exterior. We love the different textures and flavors. We started making them at Les Madeleines approximately 13 years ago, when they were still very obscure and not often found outside of Brittany. Not many patisseries in Paris were even making them then. 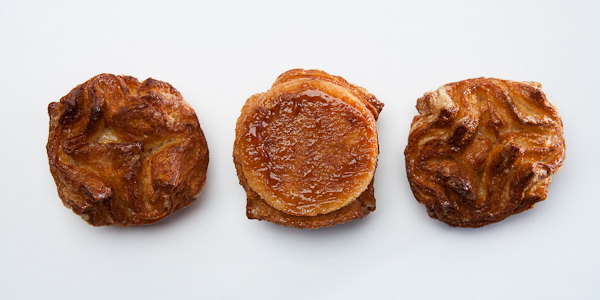 Kouign amann immediately broke all the rules. Guests loved the pastry, even though they couldn’t say the name and had never heard of them. 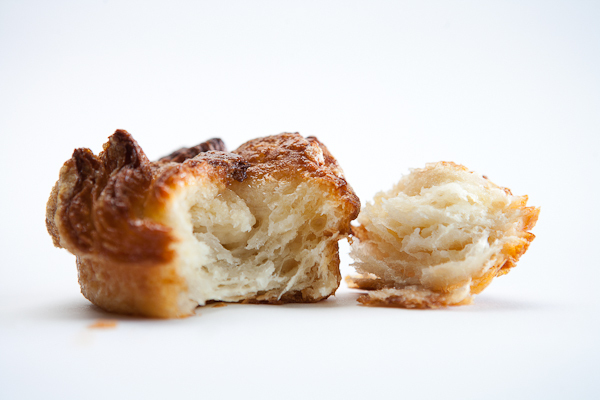 The Kouign Amann quickly became our most popular item and found their way onto the pages of several national magazines and two Food Network programs.